The UPC can be located on the back label of each package. The lot Code is located on a sticker on the back of each bag of the 5 count product. This lot of product has yielded a positive test for Salmonella when tested by the Colorado Dept. of Agriculture. Carolina Prime Pet is not aware of any reported cases of illness related to this product. Priority Total Pet Care All Natural Bullstrips are sold in Safeway stores in Arizona, California, Colorado, Delaware, Hawaii, Maryland, Nebraska, Nevada, New Mexico, South Dakota, Virginia, Washington DC and Wyoming as well as Vons, Pavilions and Pak ‘N Save stores in California; Randalls and Tom Thumb stores in Texas; Genuardi’s stores in Pennsylvania and New Jersey, and Dominick’s stores in Illinois. This product was distributed from about the first of September until now. Customers who purchased the recalled dog treats should discontinue use immediately, and return items to the purchase location for replacement, refund, or discard. Nearly lost, Gypsie is back! 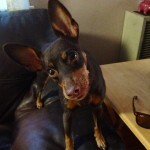 Gypsie, a 4-year-old Manchester terrier Kira had rescued “straight off the street” a year earlier, was “shaky and she’d never been shaky before. I figured that maybe it was because it was colder that night. The next morning, I woke up and I went out to get her some dog food. When I came home, she was excited and jumping like she normally does and we went upstairs. The next thing you know, I turned around and she was falling and tipping over and then she really fell down and I freaked out. 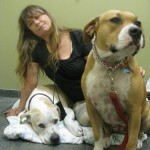 The veterinarian referred Kira, who lives in Temple City, to the Advanced Veterinary Care Center in Pasadena. Fearing an expensive treatment, Kira – who had been laid off from her job with an insurance company days before – went to a couple of other veterinarians first. She was told the same thing that the first practitioner had said. So she took Gypsie to Advanced Veterinary Care. Today, Gypsie is a healthy, normal terrier. She can keep up with other dogs. She jumps and runs and plays. “She’s fit!” Kira says happily. But her dog would be gone by now, if she had not gotten the pacemaker, Kira believes. And she is delighted to have Gypsie back – just as she was before last June. The Rodriguez family’s 12 year old pomeranian – Pinky – had bladder, ureteral and kidney stones that had to be removed surgically. In order for the family to afford the surgery, The Advanced Veterinary Care Center applied for an AHF-SCVMA Angel Fund Grant. 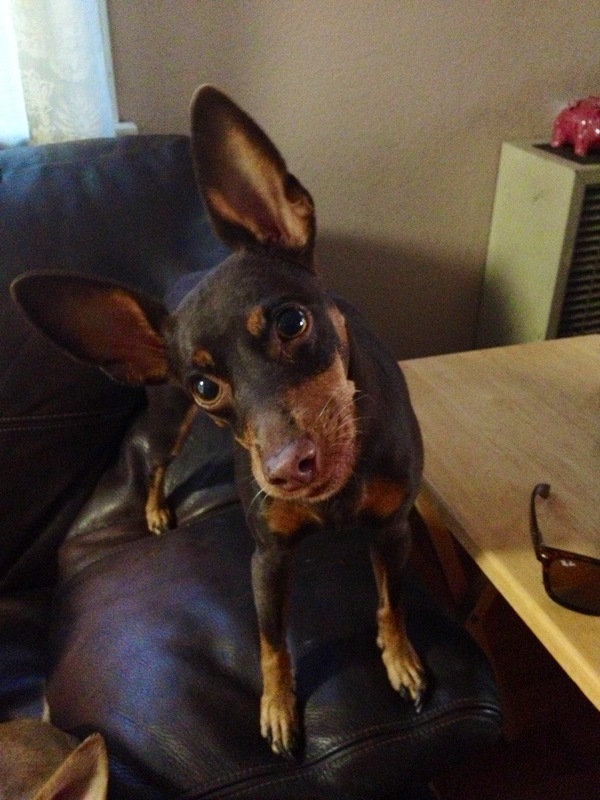 This helped the Rodriguez family save the life of their beloved Pinky! The Portnoy family thanks the Northridge Pet Hospital for applying for and receiving a grant from AHF-SCVMA’s Angel Fund. 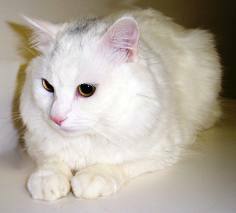 Their domestic shorthair cat – Fifi – had an ulcerated growth between her paw pad and needed attention to several teeth. Fifi is recovering nicely. When Sue Perry adopted her dog Porter two and a half years ago from a rescue group, she noticed he had a hoarse, raspy bark. Her veterinarian confirmed the dog had been devocalized. Perry, in conjunction with the Coalition to Protect & Rescue Pets, has started a petition get the American Veterinary Medical Association to make sure it’s never an option. Devocalization, or ventriculocordectomy, is a non-therapeutic surgical procedure that is undertaken to stop a pet from making loud noises, according to the Humane Society Veterinary Medical Association. As a result, the animals make either low-pitched, harsh sounds or raspy, high-pitched squeals. Normally it is undertaken on dogs, but veterinarians have seen cats that have had the procedure done. “As far as I can see, there are no benefits to this surgery,” Dr. Alex Klein, a veterinarian with the North Shore Animal League, said to CBSNews.com. During the procedure, vocal chords are either partially or mostly removed through the oral cavity or through the larynx. With both procedures there are risks for infection, blood loss, scar-tissue growth and negative health effects from anesthesia. The Humane Society Veterinary Medical Association said success for this type of surgery is low, and it is often undertaken more than once in the same animal. The procedure is banned in the U.K., and in some U.S. cities and states including Massachusetts and New Jersey. It was once taught as a standard part of veterinary school education and is still legal to perform in most states. Klein doesn’t know any doctors who offers the surgery, but he has treated some dogs that have had the surgery done. In the case of Perry’s dog, Porter has needed $2000 worth of surgery to remove scar tissue. While he can breathe a little easier, he can’t play with other dogs or even take regular walks because he risks heat stroke. But, at least Porter is still alive: One of Perry’s friends had a devocalized dog that choked and died while eating because the food went into his lungs. Perry’s petition on Change.org calls for the American Veterinary Medical Association (AVMA) to ban devocalization in the U.S., something that Klein wholeheartedly supports. At press time the petition has more than 133,000 signatures. The AVMA states that dog devocalization should only be undertaken as a final alternative after other behavioral modification efforts have not worked and only by licensed and qualified veterinarians. A spokesperson for AVMA told CBSNews.com it is currently reviewing its policies on the subject, a process that done every five years for all of its recommendations. 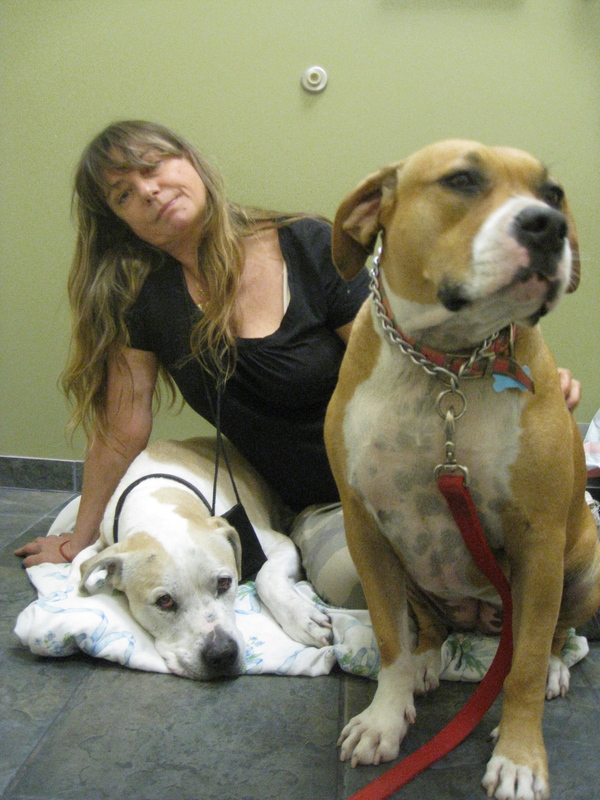 Dr. Sheilah Robertson, a board-certified anesthesiologist and the assistant director of the AVMA’s animal welfare devision, admitted that there are no health benefits to the surgery. However, for a family that is facing eviction or people who have no other choice than to euthanize the animal, it may be their only option, Robertson pointed out. In her 30-year career, she said she’s only seen four or five animals that clearly had the surgery. That was mostly at a research facility, where researchers wanted animals to be quiet in the laboratory, she said. However, Klein said he’s heard of many cases where breeders will devocalize their young animals to make them easier to sell. Feline acne, which is associated with overproductive sebaceous glands, usually appears on the chin, according to veterinarian Keeley McNeal. If the cat responds with rubbing and scratching, it can break the skin, causing a bacterial infection with draining skin pustules. If acne is caught early enough, applying topical benzoyl peroxide may clear it up, according to Dr. McNeal, but more advanced lesions require antibiotics, and she said it can be difficult to catch an early case of acne. “Cats can be pretty good at hiding it until they’re really miserable,” Dr. McNeal said. Because Smokey, 9, has such dark gray fur, his owner Nanette Goode of Joliet didn’t see the bumpy rash, but she could feel it. So she researched his symptoms online and discovered Smokey had feline acne, which she treated with apple cider vinegar, as opposed to the traditional remedy of benzoyl peroxide. “Getting a cat to comply with peroxide more than once is hard,” Goode said. Within two weeks, Smokey’s acne had healed to a scab. Goode then eliminated what she believes caused the outbreak—his plastic food bowl—and replaced it with a stainless steel model. Dr. Keeley McNeal at the Animal Care Center of Plainfield said feline acne often appears worse than it really is. It typically presents as little lumpy blackheads on a cat’s chin. Affected cats may look as if they’re stopped grooming themselves. Feline acne is not breed specific, nor does it necessarily run in families, McNeal said. Certain cats may simply experience overactive sebaceous glands. These glands produce a substance called “sebum,” which waterproofs hair and keeps skin supple. Allergic cats are at greater risk for developing it, possibly because their skin is already inflamed. If the acne itches and the cat responds by rubbing, scratching and licking it, the chin may also become infected and painful. If the chin turns red and/or oozes pus, the acne will require antibiotic treatment. Otherwise only topic treatment with benzoyl peroxide wipes may be sufficient. Catching the acne before it reaches that point may be tricky. “Cats can be pretty good at hiding it until they’re really miserable,” McNeal said. The acne should heal in two to three weeks. If not, the cat might have an underlying condition (such as feline herpes, which can lower the immune system), a recent chin injury or another disorder. For instance, indoor/outdoor cats that enjoy hunting can wind up with ulcers on their chins and lips from mites they pick up while eating mice. Infections that don’t clear up should be smeared under a microscope to rule out possible fungal infections. Certain skin parasites can also resemble feline acne. 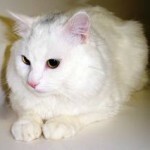 Pale and white cats that like to lie out in the sun are especially prone to developing squamous cell cancer. An affected cat’s ears and lips will appear sunburned. A skin biopsy can detect the presence of skin cancer. See your veterinarian any time a wound does not heal. Although feline acne is unsightly, cats cannot pass it onto humans or other cats in the household. There is also no way to prevent it, but feline acne will also not limit the cat’s day-to-day life or prevent it from participating in any special events. And, unlike humans, cats won’t sit before a mirror brooding about what the other cats are thinking about their appearance. “They can still go to prom,” McNeal said with a chuckle. ScienceDaily (Oct. 25, 2012) — Investigators at The University of Texas Health Science Center at Houston (UTHealth) have accelerated the search for the bacterial genes that make the Lyme disease bacterium so invasive and persistent. The discovery could advance the diagnosis and treatment of this disease, which affects an estimated 30,000 Americans each year. The researchers have developed a new technique that allowed them to test 15 times more bacterial genes than had been evaluated in the previous 30 years to ascertain their roles in infection. Findings appeared Oct. 25 in the online journal PLOS ONE. Scientists hope to use this information to unravel the mystery of how the spiral-shaped bacterium Borrelia burgdorferi causes Lyme disease. Ticks carry the bacterium and transfer it to animals and humans when the tiny spider-like creatures bite. The Lyme disease microorganism was discovered in 1981. “We believe that this will be one of the most significant publications in Lyme disease in the next several years. This global approach will help ‘move the field forward’ and also serve as a model for other pathogens with similar properties,” said Steven Norris, Ph.D., the study’s senior author and the vice chair for research in the Department of Pathology and Laboratory Medicine at the UTHealth Medical School. The bacterium can invade almost any tissue in humans or animals and trigger an infection that lasts from months to years. Its symptoms include a reddish rash that often resembles a bull’s eye and flu-like symptoms. The disease can lead to nervous system problems, joint inflammation and heart abnormalities. Most instances of Lyme disease can be treated with antibiotics. Norris, the Robert Greer Professor of Biomedical Sciences at UTHealth, and Lin are running tests on the 1,739 genes in the bacterium to see which genes impact the microorganism’s ability to spread disease. To do this, they mutated the bacterial genes and gauged the impact in a mouse infection model. Overall, 4,479 mutated bacteria were isolated and characterized. Whereas it took researchers about three decades to knock out less than 40 bacterial genes, Norris and Lin knocked out 790 genes in a comparatively short period of time; some genes were “hit” multiple times. A newly developed screening technique, which involves signature-tagged mutagenesis and Luminex®-based high-throughput screening technologies, can also be used to identify infection-related genes in other bacteria. Norris and Lin are on the faculty of The University of Texas Graduate School of Biomedical Sciences at Houston. Previously, Norris helped develop a method based on one of the bacterium’s proteins, called VlsE, for diagnosing Lyme disease. The test, which is now used worldwide, involves detection of VlsE-specific antibodies, which are often found in people and animals infected with Lyme disease. Also participating in the study from UTHealth were Lihui Gao, D.V.M., Chuhua Zhang, Evelyn Odeh and Loic Coutte, Ph.D. Mary B. Jacobs and Mario Philipp, Ph.D., of the Tulane University Health Sciences Center collaborated on the study as did George Chaconas, Ph.D., of The University of Calgary in Canada. Mutated strains produced through this study are being made available to the scientific community through BEI Resources. The study is titled “Analysis of an ordered comprehensive STM mutant library in infectious Borrelia burgdorferi: insights into the genes required for mouse infectivity.” The project described was supported by Award Number R01AI059048 from the National Institute of Allergy and Infectious Diseases. Osteoarthritis, a painful inflammation of one or more joints, can occur in birds, but careful management by a veterinarian, along with some lifestyle changes, can help affected birds live comfortably, writes veterinarian Margaret Wissman. Diagnostic tests to ascertain the health status of the bird, including blood count, kidney and liver tests and other parameters, will help the veterinarian select the most appropriate medications, Dr. Wissman notes. Owners can make changes such as providing perches of several sizes and shapes and keeping a pet bird’s weight within the normal range to help avoid exacerbating the condition, she advises. Arthritis is a degenerative disease of the joints that can be a primary disease or secondary to defects or injury of the joints or supporting tissues. 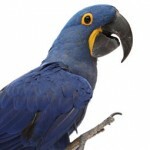 The most common form diagnosed in pet birds is osteoarthritis. Multiple joints are often affected, unless the disease is brought on by trauma. Pain accompanies this joint inflammatory disease. This is typically an acquired disease with age but it can be brought on by an injury or if a tumor, either malignant or non-malignant, involves a joint. Infections such as mycoplasmosis can also result in arthritis in pet birds. Affected joints may be red, swollen or hot. You should have your bird evaluated by an avian veterinarian who will want to perform tests to ascertain the cause of the joint problems. You may want to purchase braided rope perches or soft synthetic perches, and make sure that you have perches of several different diameters so feet don’t cramp up from always being in the same position on a perch. Have your bird’s blood count, chemistry profile, kidney and liver checked out before getting a medication prescribed. In some cases, antibiotics or antifungal medications are indicated. There are choices of NSAIDs (non-steroidal anti-inflammatories) to give a bird for long-term arthritis relief; however, most of these medications are not labeled for use in birds. The old stand-by, aspirin, is actually a wonderful anti-inflammatory for birds; however, dosing is critical, so this must be prescribed by an avian veterinarian. Other NSAIDs can also prove useful in the long-term management of arthritis. Narcotics, such as codeine, and steroids are not commonly used for long-term treatment of birds because of potentially dangerous side effects. To keep your bird more comfortable when afflicted with arthritis, provide appropriate perches as well as flat corner perches. Do not let your bird get overweight, as it will bring added stress to already damaged joints. If your bird is already overweight, discuss a long-term diet and exercise plan for your bird with your avian veterinarian.